State-of-the-art fabrics designed to limit the damaging effects of solar radiation, made of PVC-coated polyester yarns — an ideal solution for indoor and outdoor solar screens and awnings. RECscreen® fabrics, made of PVC-coated polyester yarns, are state-of-the-art fabrics designed to block solar radiation. RECscreen® is the perfect solution for a wide range of indoor and outdoor curtains, awnings and shading elements. Increase privacy while allowing outward visibility. Save energy by reducing air conditioning consumption. Avoid fading of interior decorative fabrics (upholstery, carpets, etc.). Fabric mesh weight, defined by its Opening Factor (OF). Screen fabric made of thick yarns with Panama weave (mat 2/2). It has a medium-high openness factor (5.5%), which provides good visual comfort while allowing an adequate outside view. It is a product specially designed for use in curtains and large spaces. Its open structure and weight make it suitable for any indoor or outdoor application without tension. Screen fabric made of thick yarns with twill weave, two sided, and a pattern of diagonal ribs that increase strength. This characteristic is enhanced by the use of warps and wefts of different colors. It has an average openess factor (3%) allowing air permeability, favoring ventilation and therefore the thermal stability of the room. It is a fabric with excellent performance for its dimensional stability even under tension, very strong and heavy. It is suitable for any application both interior and exterior, including large curtains, ZIP and awnings. Recasens produces durable exterior solar control fabrics of outstanding quality. RecScreen 5000P brand fabrics are covered by a 10 year limited warranty on commercial vertical screen applications from the original date of purchase against defects in workmanship and material and/or excessive loss of strength or color from normal exposure conditions including sunlight, rot, mildew, or atmospheric chemicals that may render the fabric unserviceable. This warranty is only extended to the original purchaser of the material. The limited warranty covers the full cost of the material up to year Five. From year Five to the end of year Ten, the warranty covers 10% of the original cost of the fabric for each year remaining on the warranty. If the fabric has been subjected to damage, neglect, unreasonable or improper use or care, exposure to harmful chemicals, accidents, vandalism, acts of God, or other causes not arising from defects in the original materials or workmanship, this warranty is void. Recasens does not endorse or certify end uses, and customers must test the fabric for their specific applications. In the unlikely event that RecScreen 5000P should fail during the warranty period, Recasens USA will issue a credit or supply replacement fabric at Recasens USA’s discretion. A copy of the original fabric invoice and a copy of the end product invoice must be accompanied with the claim. Recasens USA is liable for the fabric cost associated with the project only, and does not accept responsibility for any other costs relating to the specific application. Any defects found in regard to the fabric construction, color match, or strength that exists at the time of delivery to the fabricator should be reported to Recasens USA in a reasonable period of time and before fabrication or alteration of the fabric. Proper care of RecScreen 5000P includes regular cleaning. We recommend cleaning at least twice a year for residential applications, and more often for high traffic, commercial, and contract applications. Recasens produces durable exterior solar control fabrics of outstanding quality. RecScreen 6000P brand fabrics are covered by a 10 year limited warranty on commercial vertical screen applications from the original date of purchase against defects in workmanship and material and/or excessive loss of strength or color from normal exposure conditions including sunlight, rot, mildew, or atmospheric chemicals that may render the fabric unserviceable. 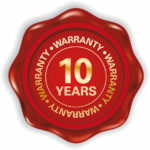 This warranty is only extended to the original purchaser of the material. In the unlikely event that RecScreen 6000P should fail during the warranty period, Recasens USA will issue a credit or supply replacement fabric at Recasens USA’s discretion. A copy of the original fabric invoice and a copy of the end product invoice must be accompanied with the claim. Recasens USA is liable for the fabric cost associated with the project only, and does not accept responsibility for any other costs relating to the specific application. Proper care of RecScreen 6000P includes regular cleaning. We recommend cleaning at least twice a year for residential applications, and more often for high traffic, commercial, and contract applications. RECscreen® fabrics are made of PVC-coated high-tenacity polyester yarns. RECscreen® yarns are manufactured in our facilities located in Sant Jordi de Cercs (Barcelona) and woven in our factory in La Pobla de Montornés (Tarragona), allowing us control of the manufacturing and quality assurance processes. At RECASENS, we use two types of yarn, one thick and one thin, which, when combined, achieve different Openness Factors and textures. The different combinations and weaves make RECscreen® fabrics highly versatile, ideal for both indoor and outdoor use in many different types of curtains, awnings, and roller blinds. Polyester yarn is more flexible than fiberglass yarn. Polyester screen yarns have a higher resistance to bending and torsion than fiberglass screen yarns, so polyester screen fabric will not break due to fatigue. High-tenacity polyester yarn ensures a perfect cohesion of the PVC finish. Unlike fiberglass and PVC, PVC and polyester share similar elastic behavior versus temperature properties, and create clean core cuts that do not look frayed, or fringed. High mechanical strength, both tensile and tear. Excellent weather resistance. Fabric does not degrade and holds color perfectly. The yarn used in the manufacture is from cylindrical section, achieving an excellent rolled performance, preventing lateral displacement of the fabric. Easy handling. Tolerates bending and weaving, allowing shaping of the fabric without leaving marks. Excellent shear behavior. The RECscreen® structure does not fray. It can be cut with any cutting machine – “crush-cutting”, ultrasound or laser cutting – and the resulting cut will be clean and ready to use, not requiring reinforcements, hems, or the application of any lacquer. Easy welding. Perfect adherence is achieved with all kinds of welding machines. Suitable for joints with sewing machine. Fireproof. Certified M-1 and CLASS-1 (UNE-EN 13773:2003). Free of lead. Contains no substances harmful to the human body. Anti-bacterial and mold resistant due to the special formulation of the PVC coating. Different Openness Factors for optimum regulation of the amount of light entering interiors. Lower Openness Factor will yield lower incoming light intensity. Wide range of colors. In addition to its aesthetic function, color plays a technical function because each color absorbs, transmits or reflects light differently, allowing you to adjust the energy balance of the room. Solar Screen. REscreen® offers high protection to harmful UV rays, depending on the fabric’s Openness Factor – a lower Openness Factor will give better light filtration. Visual comfort. The Openness Factor and the RECscreen® color chosen can help control the amount of glare during direct sunlight, achieving a beneficial effect on visual comfort and avoiding eye strain. Energy savings in buildings. The fabric’s color, thickness and openness influence the absorption and loss of light and heat, allowing occupants to regulate lighting and temperature, crucial factors for reducing energy consumption driven by lighting, air conditioning and heating. Ventilation. The RECscreen® woven fabric allows air permeability, preventing hot air from building up between the glass and the shade or under the awning. Extra Wide. Three-meter width permits better use of RECscreen® fabrics with fewer cuts, welds and significant savings in labor. To clean RecScreen 5000P and RecScreen 6000P sponge the fabric with a solution of 1 cup of mild detergent, 1 cup of liquid bleach to 3 gallons of warm water. Protect furnishings, trims, and plant materials that could be damaged or harmed by the soap or bleach. Rinse screen thoroughly with clear clean water and allow to air dry. Treat stains as soon as possible. Do not use abrasive household cleaners, or solvent or petroleum based cleaners.